Yes, it’s International Women’s Day. You really couldn’t have missed it. If you open Google, it’s right there on the homepage. If you watch a video on Youtube, you see the little logo in the left-hand corner. Even if your mother, your sister or another woman in your life hasn’t reminded you to bring them some mimosa, it’s everywhere. But what does it mean, exactly, this particular attention for women on the 8th of March every year? Why should we pay attention to Women’s Rights? Is every kind of attention the right one? Many brands seem to want to hitch their wagon to this esteemed, progressive bandwagon, but not always with good reason or intent. And finally, why does your favorite bookmark manager feel it’s important to weigh in? First things first: the world should celebrate International Women’s Day because of the many unsung heroines in the world. It’s astonishing if you think about it. Half the worlds population is women, but less than 10% occupy the highest posts in our nation’s governments. In no region in the world, according to the latest report of the World Economic Forum, the gender gap has been bridged. The best scoring region is Western Europe, but even there the average gap never surpasses 75% of completion. And this is despite the “strong correlation between a country’s gender gap and its economic performance.” Everyone benefits from equal rights for women, a lesson that all policymakers should take to heart. They’re no less part of our human capital than men. Fortunately, the principal and most influential organizations of the world seem to have understood this message. All countries of the United Nations have formally accepted the equality of men and women and pledged to promote equality not just in theory but on the ground. Unesco has programs in place to support equality and celebrate IWD. 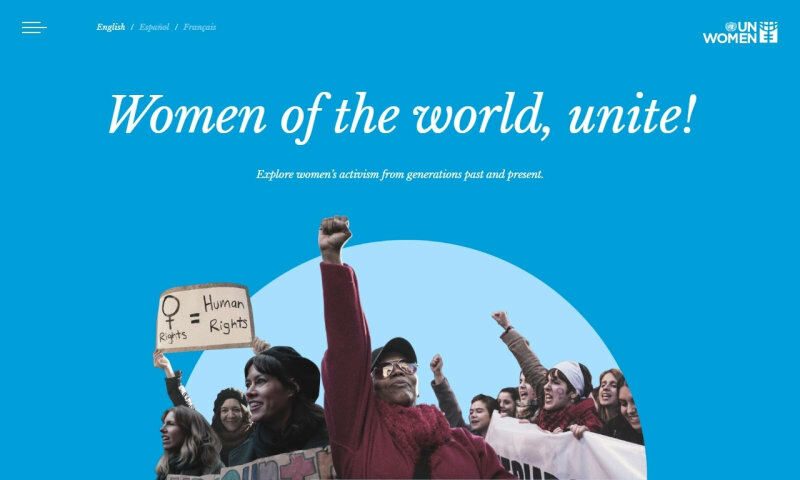 If you’re interested in the history of feminism, women’s rights to vote and other forms of activism, just scroll through the website Unwomen.org and get informed. Women of the world, unite! You’ll find out that women have had to fight for their rights, ever since the first Women’s Rights Convention in 1848, in Seneca Falls, New York, USA. Change requires activism. The many ways women have found to impress the world with their activism have included strikes, demonstrations, petitions, and memes. Last year has seen a whole new iteration in the USA with social media storms around #metoo and #timesup, and protests that included no less than 3.5 – 5.5 million people worldwide who attended the women’s march in January 21th, 2017. With so much attention for the rights of women, commercialization couldn’t be far off. 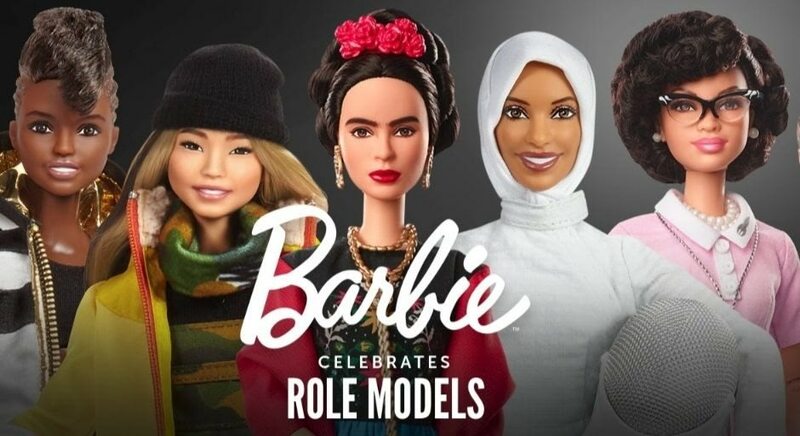 This year has seen the introduction a brand new series of inspirational Barbie dolls by Mattel. The company developed the toys after a survey of 8000 mothers around the world. Their primary concern was a lack of female role-models in the life of their young daughters. Now they can play with painter Frida Kahlo and mathematician Katherine Johnson, and who knows? These ‘Shero’s’ might just be inspiring. A special edition of Johnnie Walker Whiskey, dubbed Jane Walker, provoked a lot more controversy. Following KFC with their female Colonel Sanders, this new edition of the old brand seemed to be a thinly veiled effort to market to the lucrative female demography. 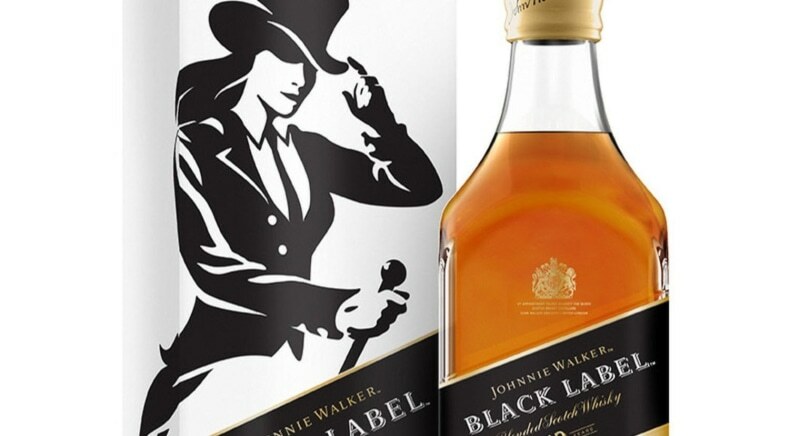 As the vice-president of Johnnie Walkers, Stephanie Jacoby, stated in an interview: ‘Scotch as a category is seen as particularly intimidating by women. It’s a really exciting opportunity to invite women into the brand.’ People noted the apparent stereotyping in this statement. They also mentioned that, though Jane Walker might be exciting to marketers, for women’s rights, it’s more like a setback. It’s not easy for companies to credibly profess their support of women and women’s rights. Even the Googles and YouTubes in our world, well-intentioned as they seem to be, don’t seem to produce more than lip-service. We have yet to see real policies. Still, there are some examples of genuine corporate equality policies. A major initiative in support of IWD we found at Microsoft. In Singapore, for example, they organized an event for more than 140 secondary school girls and educators from 15 schools and nonprofits, they called DigiGirlz. This event is designed to encourage participants to #MakeWhatsNext. For more information, you can also watch Microsofts ‘micro-film’. As sympathetic as this initiative feels to us, it also illustrates the difficulty to promote gender equality in the world of male-dominated IT. It would be great if more women chose to work in our sector. We’d be the better for it. A 50/50 gender balance in senior leadership shouldn’t have to be a dream. At IKEA, it’s not. It’s policy. We believe that 50/50 gender equality is a human right and that equality works better for our co-workers and our customers. So on this International Women’s Day, we stand with all you remarkable women, because your dreams are our dreams, and we’ll always be here to help you make it. Your dreams are our dreams, and we’ll always be here to help you make it. We couldn’t agree more.